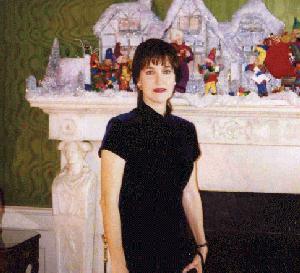 This is a picture of Clementina Rivera in the Green Room of the White House in December 1997. On that occasion, she presented some paintings to President Bill Clinton and First Lady Hillary Rodham Clinton. The Green Room of the White House was intended to be a "Common Dining Room" by architect James Hoban. Thomas Jefferson did use it as a dining room, but James Madison made it a sitting room, and the Monroes used it as a card room. During Theodore Roosevelt's presidency, the room was furnished with reproductions of early 19th-century American furniture. Authentic Federal-period furniture was placed in the Green Room during the Coolidge administration. In 1971, the Green Room was completely refurbished. The walls were covered with green watered-silk fabric, and striped beige, green, and coral satin draperies were designed from an early 19th-century pattern. Several portraits and landscapes with gilded frames adorn the walls. Clementina lives by the sea in Rockport, Texas. 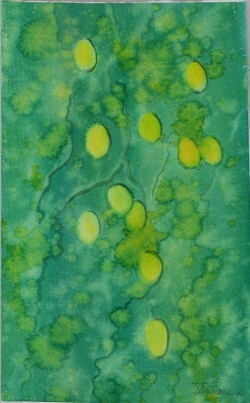 This is a very stimulating environment for studying and painting the native wild life. 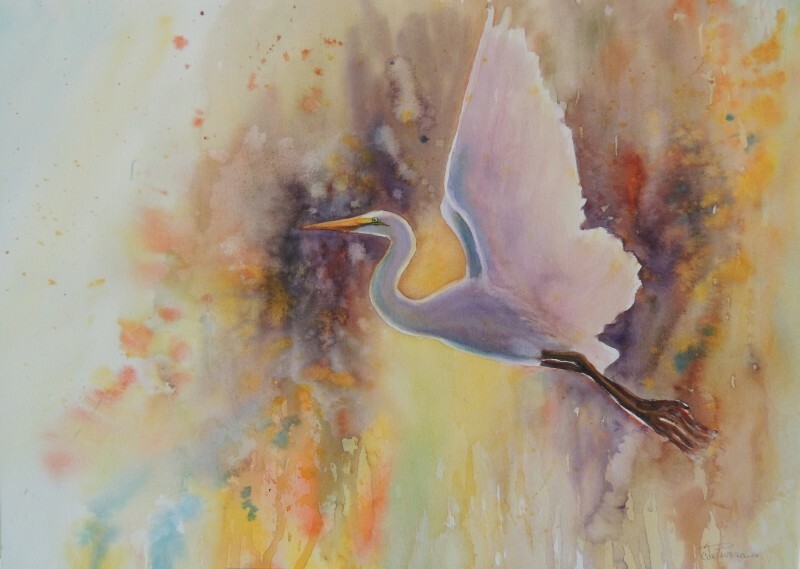 Her paintings depict aquatic birds, dolphins and seashore landmarks using traditional oil, acrylic paints, and watercolors. Clementina frequently exhibits her paintings in various regional galleries such as Latitude 28°02' and The Gallery of Rockport. 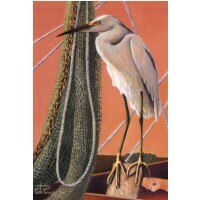 Her painting entitled "Catch of the Day" was chosen as the theme picture for the 48th Annual Shrimporee (a shrimp festival) in Aransas Pass, Texas. The picture "Brown Pelican" was one of the pictures presented to the President. Please contact Clementina for additional information about her paintings or if you would like to commission a special painting.